Does “The Open Window” by Saki still deliver? We know a short story has a challenge: to deliver dramatic impact in a few pages. Even with that limitation, a good one stirs our emotions and continues to resonate long after we finish the last line. Have you read “The Open Window” by H. H. Munro, pen name Saki (1870-1916)? It’s just four pages long. In it, Vera, a fifteen-year-old girl, tells a visitor the tragic story of why her aunt leaves a large French window wide open on an October afternoon. The visitor is indeed moved. 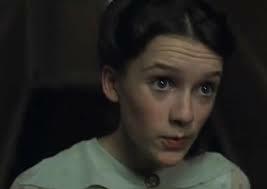 In the last line, the author says of the young girl: Romance at short notice was her specialty. The sentence, at first reading, may seem frivolous, a young girl being precocious, the author ironic. M-m-m-m. Is that all or is there more? For me, I feel something more sinister, that one day Vera will go too far with drastic consequences. If you haven’t read the story … doesn’t take long. What do you think about “The Open Window”? Does it deliver? Timeless? Dated? Love to know your favorite short story. This entry was posted in Reading, short story and tagged fiction, h h munro pen name, H.H. Munro, irony, literature, Saki, short story, The Open Window by Saki. Bookmark the permalink. 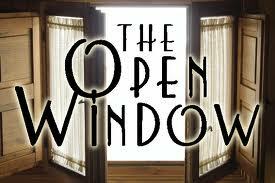 4 Responses to Does “The Open Window” by Saki still deliver? Very interesting. I was baffled until the last line connected the two separate fabrications. If I’m correct October is a subtle clue. Hi Jim – Interesting observation … since October is the onset of prime hunting season, we could say Vera has hunted down her own prey! Thanks for stopping by! Thanks for posting this short story. I had not read this story and I learned a lot from the technique used . Great – glad it worked for you. If you find a short story you really like or is a favorite of yours, let me know!